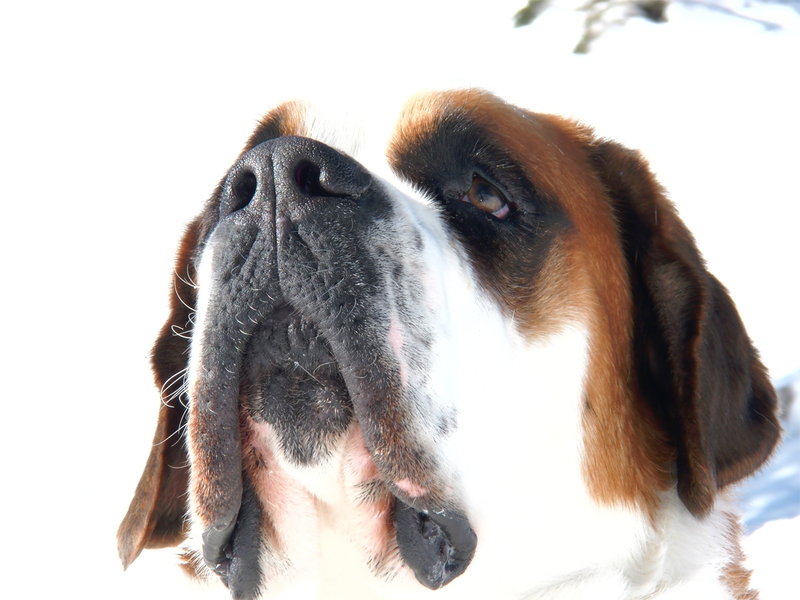 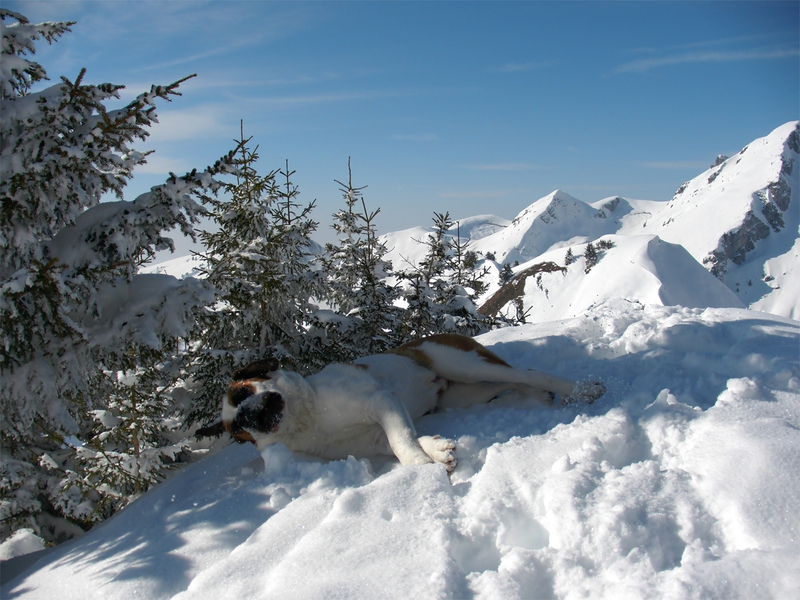 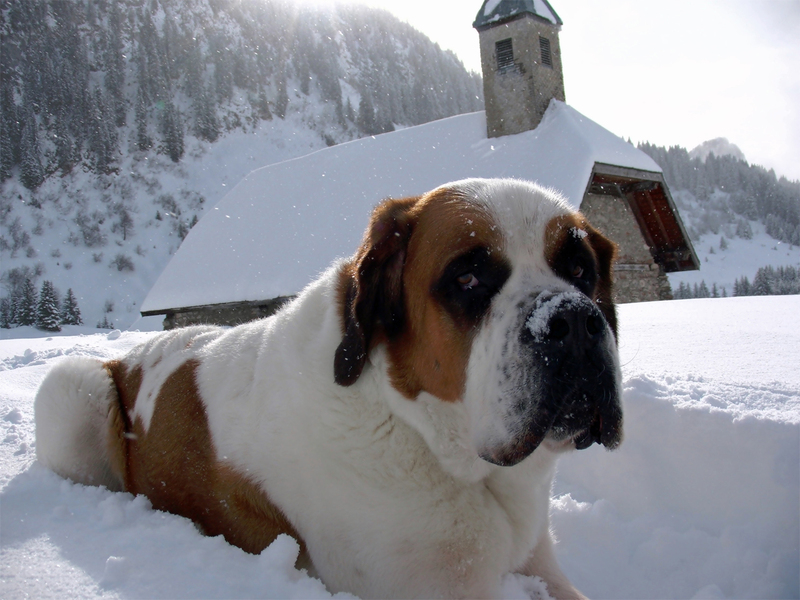 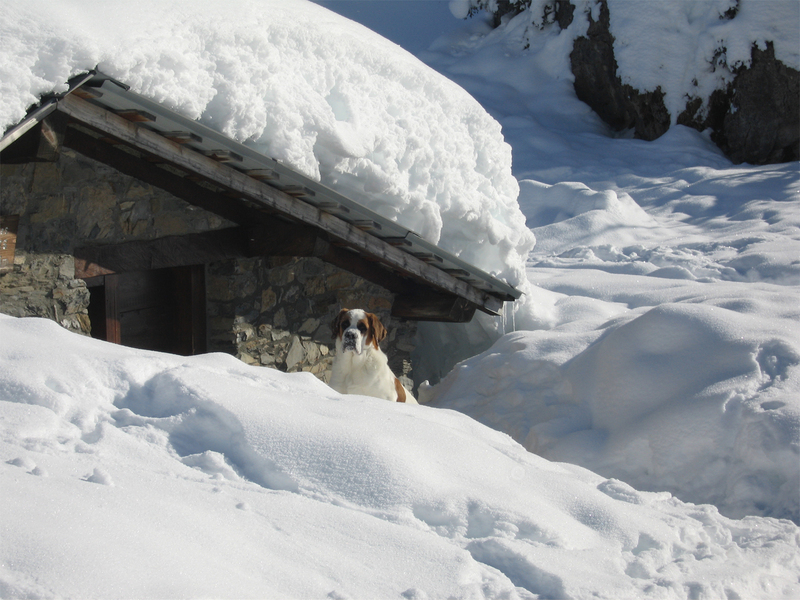 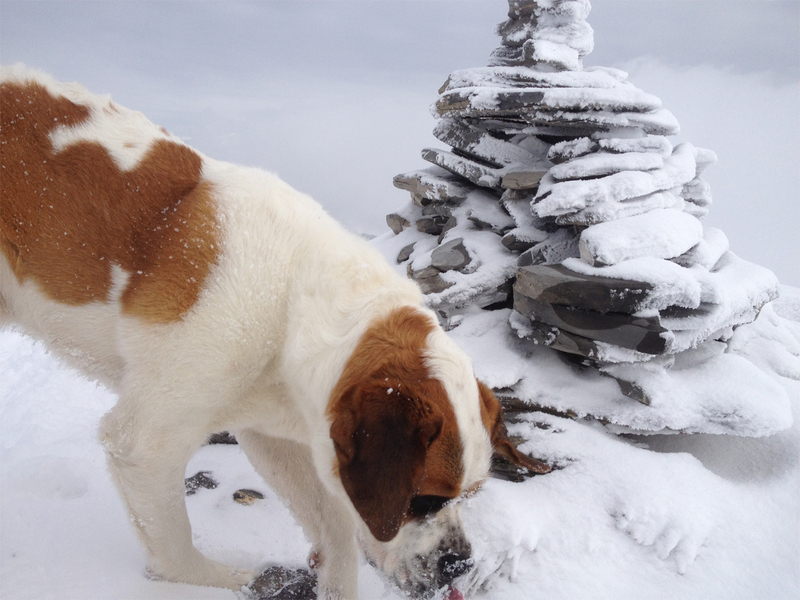 For 5 years, our Saint Bernard was the beloved mascot of the Hotel Esprit Montagne. 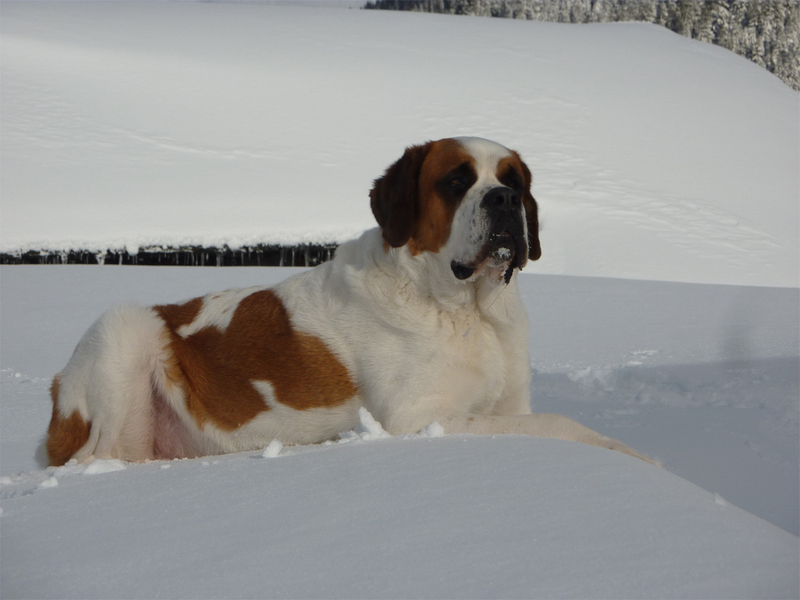 Born on 16 June 2011, and sadly gone too soon on 27 May 2016. 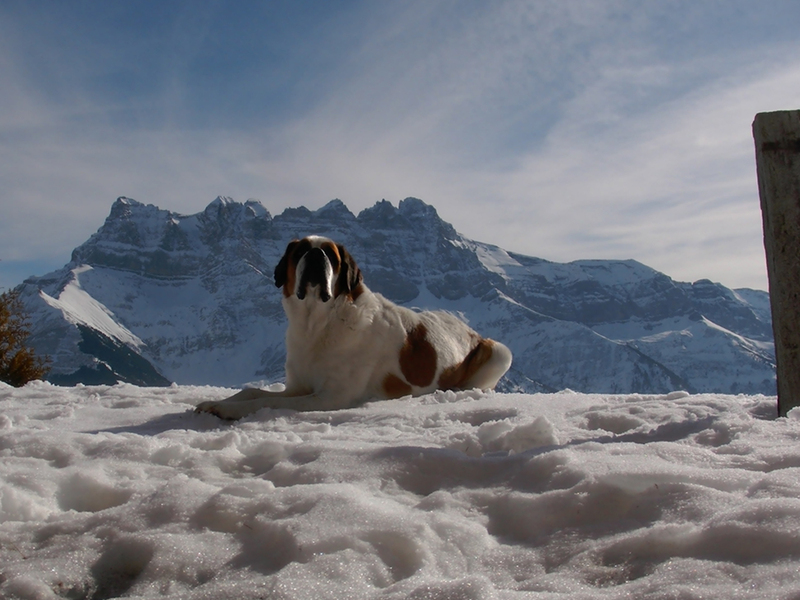 Loebas was a friend to everyone who loved nothing more than heading out into the mountains. 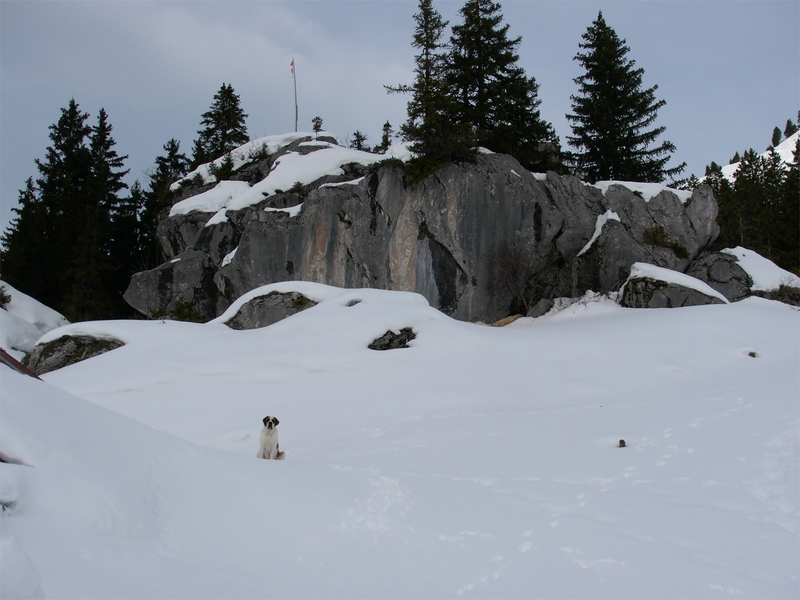 Many guests of the hotel went out hiking with him in the mountains around the hotel and to the frozen waterfall in Ubine during the snowshoe treks. 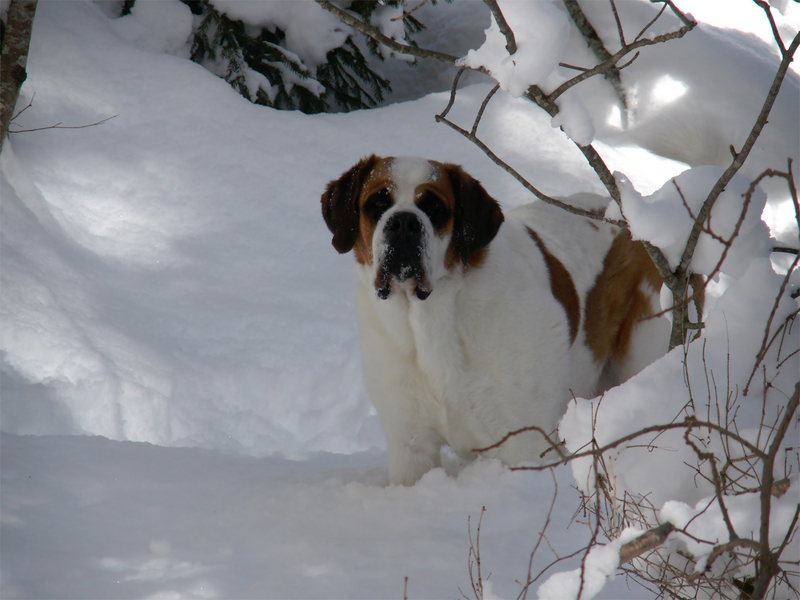 Running through the snow and plunging into cooling streams, that was what he loved most in the world. 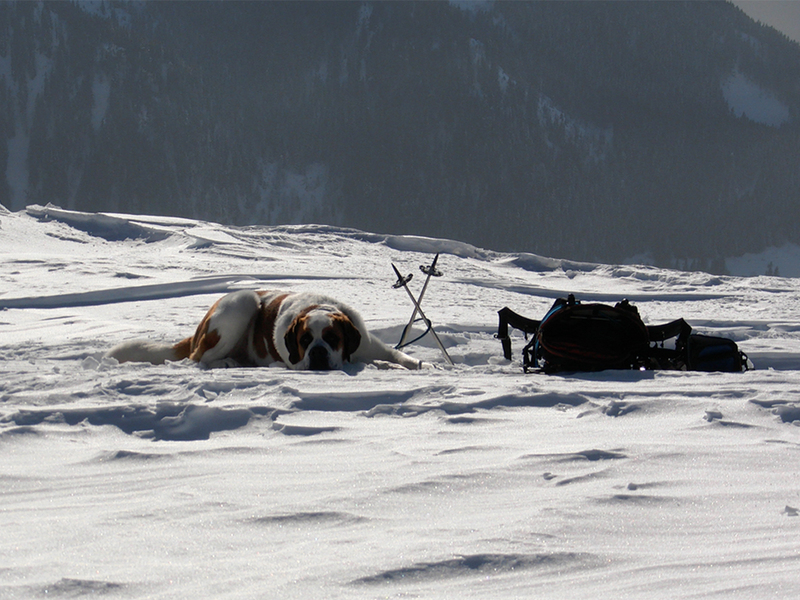 As soon as someone grabbed their backpack, he knew that it was time for a wonderful trip through the mountains; summer or winter, he always wanted to come along. 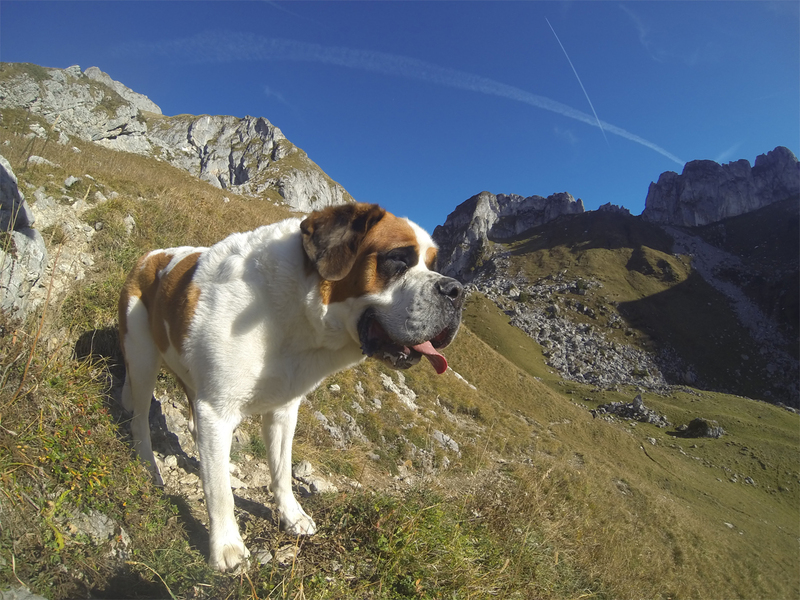 And if he wasn’t allowed to come along, he would be very grumpy. 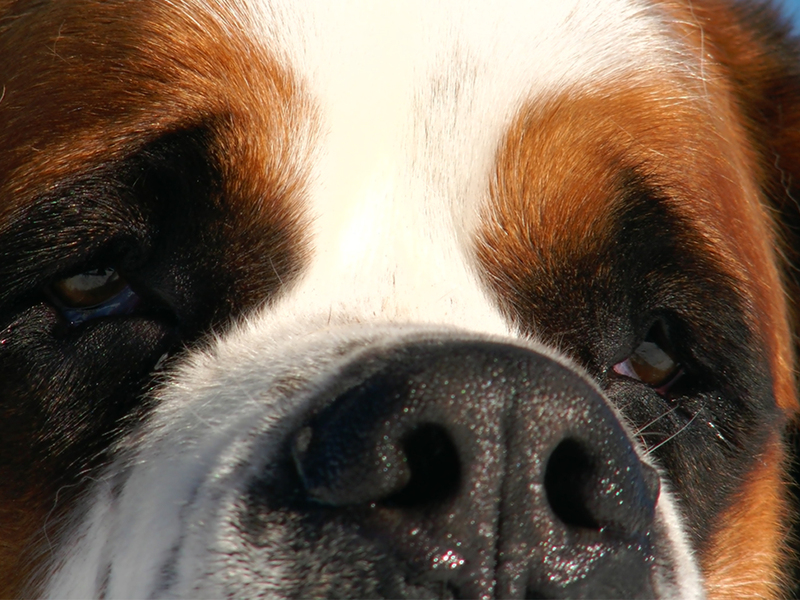 In the backseat of the car, with his head out the window, looking out and sniffing all the smells. 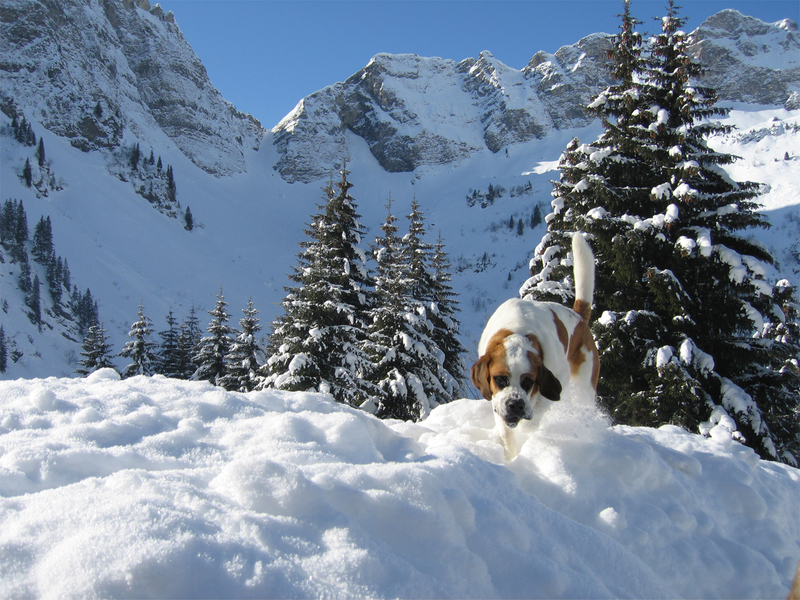 That happy face when we walked through the woods in deep snow, climbing so many peaks in the Chablais together – so many wonderful memories. 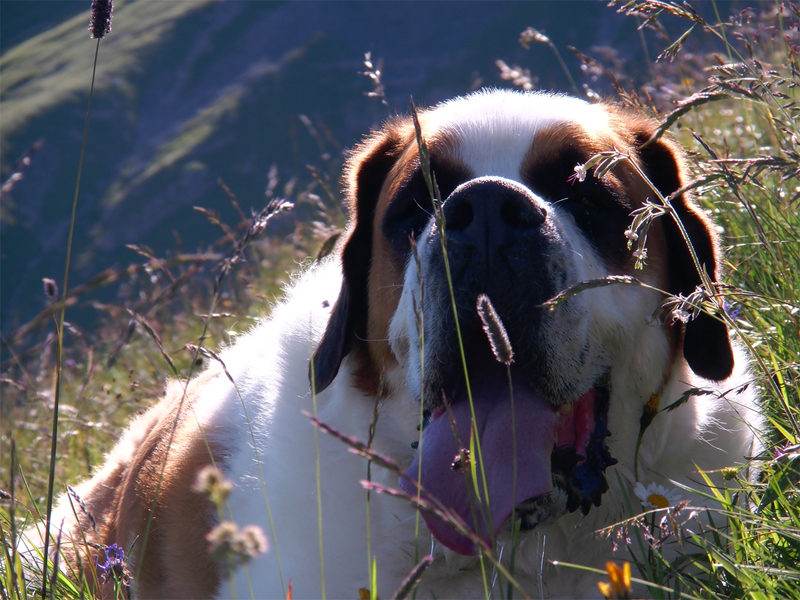 We will never forget you, my friend!